Music teacher and researcher. I began my secondary school teaching career at Featherstone Secondary Boys' School in Southall. By week three, and never having played a brass instrument before, I was playing Eb Bass in the school band, a selection from Mary Poppins. Moves to schools in Worcestershire and Basingstoke, then higher degree study (The learning process of a group of 14-15 year-old rock musicians) led me to Homerton College, Cambridge and the Universty's Faculty of Education and work with beginning secondary school music teachers and their mentors. By now I had learnt how to read, write and think about music education. Initially rejecting the world of social media, I have become a convert understanding how this is part of the time-space contraction that is global modernity. I see my weekly blogs rather like a weekly newspaper column or perhaps like Radio 4s Thought for the Day. Each blog takes five to seven minutes to read and is intended to provoke thought. To be critical is to be thoughtful, discriminating, analytical, reflective, evaluative, knowing, insightful and a symbol of becoming wide-awake to the world; musical experience if it is to be educative calls for this. It calls for a growing awareness of what music is, how music is used, how music is given meaning and how meanings are continually negotiated and re-negotiated. It calls for a recognition that music has ‘human interest’; social, cultural and political. Without criticism music ceases to be a subject of significance. Of course, there are minimal ways of understanding critical engagement as well as deep, rich and challenging ways. Critical engagement can be inside the act of music making, where moment by moment judgements are made, as well as along a continuum towards detached theorising. Whatever, critical engagement calls for thinking and feeling. It would be possible to construct a list of one hundred examples of good practice in critical engagement. A taxonomy could be made. But perhaps most obviously playing with music, improvising on it, composing it and re-composing it opens up a dynamic space for critical engagement. In this example, simply a music teacher being playful with material that leads us to Pete Seeger, the political activist. Perhaps Pete Seeger is one of those ‘great composers’. I am intrigued to know whether the model music curriculum will have a well articulated conceptual framework? In this way much of the current debate about teaching, reduced as it is to a binary choice between teacher as facilitator and teacher as direct instructor, becomes puerile and just so much chatter. Just scroll down to my previous blog to appreciate how inadequate and destructive such thinking is. 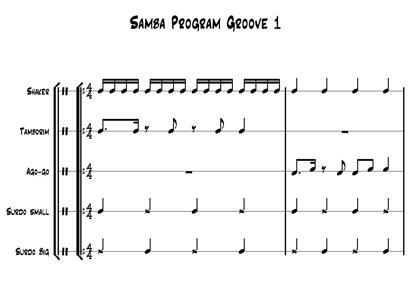 We see this below in the example of a music teacher teaching music. ‘Mid-day Saturday and 23 young people aged 8-13 have come to make music together in the large hall come gymnasium. Chairs are being set out in a circle. It is the Creative Orchestra. There are violins, saxophones, clarinets, pianists, percussionists in equal numbers; harpist, bass guitarist, acoustic guitarist, cellist, trombonist and flautist. And a teacher who I sense will be a quiet presence with a clear voice of authority and who knows a lot about attunement. Still encumbered with bags and not all instruments are ready. A quiet word to move bags to their place and we are into a round the circle warm up, ‘remember to keep it flowing’: the leader sets the round in motion with a simple four beat rhythm clapped, class copy then the first solo from Peace, all copy and so on yielding 23 rhythmic ideas, ever more intricate and calling for ever more attentive listening. And then there is a counterpointing pentatonic melodic framework set out in the centre of the circle; D E G A B represented by five spaced objects. E has a big box, for E is to be our tonal centre. The class are shown how by stepping between the tones the melody is made and how a repertoire of signals calling for variation in durations and dynamics can be used. And before long the class are rehearsing how to make notes really short, notes that grow louder and then as players volunteer to lead, so more possibilites emerge to be thought about. ‘Any suggestions, thought, ideas’, asks the teacher. Some suggestions come fully formed, some convoluted, some tongue-tied inviting others to articulate more clearly before reaching their final form in the music. What a long way words can be from music. An important part of the process is the assembling of the material into a work in progress that we can all be inside for a few minutes. Then more thoughts, ideas, suggestions. The class are relaxed about all this. They are learning to be still, thoughtful, circumspect, wondering, some just being, barely becoming so it seems. The harpist seems happy enough to be there with her harp. Time is not rushing on. There is none of that ‘fast pacey please the inspector stuff’ here, rather staying with the moment, indwelling the music. Rapid progress is a stranger here, slow learning a virtue. Ibrahim take a lead and tells us that we can think of the music as being like a journey. Ideas are flowing faster now with contributions from Peace, Oscar, Neoma, Jo and Jessie. More leaders in turn take centre stage and confirm this way of working, expand tonal and rhythmic possibilities calling for music made with intention as well as deliberation. The rhythm section is strong, rarely lose their grove. Frederick takes time out to teach Joe how his cabassa part should go and this is in the middle of a six minute playing. Now Oscar suggests combining four ideas to add to the advancing sophistication of what is not actually a piece of music, rather a series of sketches that might become a piece. The teacher, for the first time mindful of the time, for there is a time to end the session, says, ‘seven minutes to go’ and Oscar leads the final excursion. ‘It’s a journey to an unexpected island’, says Naomi. We are now well into the afternoon on this dull Saturday in June, it’s time to go home. Chairs away. With repose and a simple satisfaction, so it seems, the children go their way. In the present time it is easy to imagine that educational research is the fiefdom of empirical studies where cognitive psychological theories of learning underpin what can be known and what can inform what works in the classroom. As part of the argument six teacher icons are presented: Plato’s dialogic questioner, Jean-Jacques Rousseau’s responsive (and autonomy-seeking) tutor, John Dewey’s democratic designer, Paolo Freire’s liberator, Jacques Ranciere’s critical egalitarian, and Nel Nodding’s carer. Thus I was prompted to celebrate five scenes from the music room, each showing a music teacher’s advanced music teaching skill. Each teacher with a well-developed theory of instruction. And inside this there lies something difficult to capture in words – the manner of the transactions, the temper of the exchanges, their playfulness, the feel of the moment by moment narrative, the anticipations engendered and the satisfactions and frustrations experienced and, above all else, the coming to know music, a way of knowing that reaches far beyond knowing that and knowing how. The children and adults begin singing together, while simultaneously opening and shutting their hands eight times as they quietly sing the words of the first phrase. The song continues, but then the practitioner stops just before the word ‘sky’. She smiles and listens as a few children very quietly sing “sky”. She joins in again with the rest of the song, but this time stops leading the song at the very end, allowing the children to sing “are”. She then asks the children if they have magic lips like Songstar, and gets them to have a go at miming the first line of the song – only instead of singing, they’ll clap each word so that they’re essentially ‘Clapping the rhythm’. She sings, “Ready, steady, let’s all clap” and leads the children in clapping out the words of the first line, miming the words while at the same time moving the puppet’s hands in a clapping motion. We gather in a circle. With measured poise and calculated tempo Hannah strikes her drum and we start connecting to the regular 1 2 3 4 pattern, learning to co-ordinate our cries of Hey and Hoe, while together making our first music of the session. Breaking from the circle we walk the beat. And now a different timbre to perceive while conserving the beat – the sound of wood on wood from the drum’s rim used as the signal to walk backwards. Walking backwards I almost collide with Theo who politely tells me, ‘look over your shoulder’. Now Hannah asks the children to provide themes from the recent Halloween-tide so that our walking has a distinctive character. In turn we become Spider-Man, vampires, skeletons. For skeletons I lean forward reach out my hands and spread fingers as wide as I can. When the music stops eyes close and Hannah asks us to locate particular children. ‘ Where’s Joshua?’ We point, and yes, how did we know that? We are getting to know each other. Back in the circle and a little commotion eased through a call to breathe out and a calming shhhh from Hannah that we all partake in. They form a circle, and following introductions, the teacher creates a movement-sound sequence figuratively faithful to motives from Mahler’s Symphony No 5 first movement, the ‘Trauermarsch’. The musical material transmitted is Mahler’s. There are 15 minutes of intensive working where the teacher gives and the pupils give back, where the teacher insists through repetition that all get it. The transaction is already playful and relational. Like catching balls moving fast between all within the circle, the pupils catch melodic fragments as well as rhythmic ones. ‘You really need to get hold of this material, this is very important’, says the teacher. Now with a voice of enchantment and mystery the teacher reveals Mahler’s use of the song ‘Der Tambourg’sell’, a song about one of Mahler’s ill-fated ‘children’, a drummer boy condemned to execution and his long walk to death, the ‘trauermarsch’. The pupils want to know what it is that the boy has done that deserves such a fate. However, this is to remain a mystery for the time being. The work proceeds until groups have created their own ‘trauermarschen’ using Mahler’s material. Ready to go now and Katy, with a lively good humour, sets about transmitting the musical material. And as the rhythmic texture enlarges, and as we together master the rules of engagement, we seek our own solutions to the skills-challenge equation and find flow and fluency. In the ongoing interplay between Katy and the group the locus of control is passed back and forth. Yes, there are times of impersonal learning where the acquisition of content and skills dominate but then times of personal learning as each gains control, self-regulates, gains agency, no longer shaped by the teacher, but shaping self. The highlight of the Samba workshop comes when there are sectional breaks and when the side-drumming quartet fizz with virtuosity. I think we are by now all feeling a bit virtuous. Interdisciplinarity in Year 6 and I do get to the Blues. I was part of a Year 6 classroom this past week and noted how the teacher was working in an interdisciplinary manner. On the day of my visit the children were engaging in extended writing, drawing upon imagery and symbolism from their current topic. Their work was bounded by the rigours of English, a subject of the school curriculum. Their focus was on writing, the expression of thought and feeling through writing using the conventions of writing. The teacher was making a clear distinction between extended writing in English and extended writing in History. Historical writing called specifically upon historical knowledge and skill. The children’s study of English, Art and History had depth. But what was of particular interest was that this learning involving two or more disciplines was yielding an unplanned conversation. The children were asking questions, wanting to understand more, relating what they were learning to their present circumstances. Class discussions were becoming ever more important to the children. Interdisciplinarity is a gift to the primary school teacher. Unlike the secondary school teacher, the children are with their primary teacher a good part of the time. The whole curriculum is their oyster. In this case it would seem that there is rich-learning in progress, that there is powerful knowledge being engaged with. Ah! wait a moment because the term powerful knowledge lies within the fiefdom of particular parties and is to be understood in a particular way. I was using it casually. There is in the promotions of powerful knowledge an insistence upon the integrity of subjects and their rootedness in what is referred to as disciplinary knowledge. And that this integrity demands depth through a lengthty induction into the subject’s character, its conceptual structure and body of knowledge. It is only when a worthy level of mastery of this is reached that interdisciplinarity is countenanced. John White challenges the powerful knowledge thesis and makes reference to the question of interdisciplinarity. Do focus on this if you can. In general, attempts to achieve interdiscipinarity in our schooling have not been good. Superfical relationships between subjects are made, a scraping of the surface to find connections and then the terrible case of the Blues in year 8 where the hapless music teacher serves up a reductive version of history leading to the History teacher raising their eyebrows. an example of music in interdisciplinary relationships and no raised eyebrows. Introduction to The Voice of Liberal Learning, (1989) Michael Oakshott. Liberty Fund. Page xix. Who controls the music curriculum? The setting up of an expert group to devise a model music curriculum by School’s Minister Nick Gibb has caused more than a little turbulence. So much so that a letter has been written to the Department for Education protesting. A central issue in this is the question of who controls the music curriculum? And what kind of process should be adopted in the making of a music curriculum? And, now to the point, what part should a government minister play in this process? White is particularly concerned about arriving at a well reasoned set of educational aims free from political interference. In their book Education and the Struggle for Democracy: The politics of educational ideas Wilfred Carr and Anthony Harnett trace the ways in which the educational system became the work of the New Right in British politics during the 1980s. However, even this analysis didn’t forsee the way individual minister’s personal agendas and zealously enacted convictions would underline this ongoing struggle for democracy. John White’s expectation that interested sectors play a part in the democratic and inclusive process of curriculum making would seem reasonable. In its place we now see the interests of selected sectors advanced to satisfy the minister’s personal agenda and thus diminishing hope of impartiality. In recent times other education ministers have expressed particular musical preferences and affiliations. There has been Kenneth Clarks’s love of Jazz and David Blunket’s love of the pub folk scene. Neither of these however sought to imprint their musical personalities on the music curriculum. Carr, W. and Hartnett, A. (1997) Education and the Struggle for Democracy: The politics of educational ideas. Open University Press. Last night I had a remarkably vivid dream. It was most remarkable for the detail that it contained. My dreams are more usually amorphous affairs. This is what I dreamt. The expert panel for the new model music curriculum had issued an interim report. The panel had wisely started with first principles and considered the place of music within a general education for all children and young people to age 14. An over arching music educational aim was proposed that was consonant with the aims of general education. To musically equip children and young people to understand themselves, both as individuals and as members of a complex and rapidly changing society as future citizens in that democratic society. The panel had assumed that the resourcing of this education would be vastly improved, and in particular, in respect to the education and training of music teachers, curriculum time allocation and physical resources. The panel went on to outline three sub-purposes. To equip all pupils with the knowledge, skills, dispositions and understandings to make music well. To induct pupils into existing cultures of making-music as a source of creative and critical engagement. To enable all children to become unique individuals, subjectively enriched and able to know a sense of personal freedom through music made well. The panel then made what can only be seen as a bold step. They realised that before proceeding any further some understanding of curriculum was needed. This is what they proposed. The music curriculum can be defined as a dynamic set of musical processes and practices framed within historical and contemporary cultural discourse and dialogue that comprise the material musical encounters of pupils and teachers. And then to curriculum intentions. By the end of Year 9 pupils will have songs, melodies, riffs, rhythms and the character-feel of much music in their heads and bodies. They will be able to recall this music at will. It will be an integral part of their learning how to make music well as shown in their technical know how, fluency, expressive control and in their musical relationships with others. This will be achieved by introducing contextually rich music/musical material which keeps offering fresh insights and challenges. Pupils will explore unexpected pathways into deeper learning, responding with flexibility to follow new turnings. The pupil’s music making will always reach a musically meaningful standard. When this is achieved there will be value in assessing the work. Pupils will be able to reflect on their music making and the music making of others through talk, reading and writing about music. They will come to understand how music functions in the world, why and how it is made, how music is used and how music is given meaning. There will be a recognition that music has ‘human interest’; social, cultural and political. Classes will work as a community of music makers and critics where the relationship between pupil, teacher and what is being learnt creates an open musical discourse. As the panel retired to do more work they heard from the minister that a new panel would be assembled shortly. He thanked them for their work. Music of the Common TongueMusic published in 1987 has a sub-title: ‘Survival and Celebration in Afro-American Music’. Here Christopher Small examines the search for identity and community of millions of Africans in the Americas through their encounter with a European tradition, taking from it what was needed to explore, celebrate and affirm who they were and who they might become. This is 1987 the same year as Alperson’s ‘What is music?’ An introduction to the philosophy of music giving rise to wider interest in music as a social practice and David Elliot’s 1995 philosophy of music education. A conundrum for me in the thinking of Small is his insistence that musicking has no moral dimension. It is not a matter of good or bad musicking. There is just musicking. The idea is ethically neutral. But what could we take from Small into a music education that is in the institution of the school and sponsored by the state? A little time ago at the ISM ‘Guide to Progression, curriculum and assessment’ day we had plenty of opportunity to talk and think around the topic in the light of a new National Curriculum. This involved thinking about the values and vision that we hold for music teaching at Key Stage 3 (age 11-14). Before I sounded forth in our small group discussion I did say that I had had a long time to think about this. I should have added that I have enjoyed the privilege of bringing together the ideas generated by the classroom research of secondary school music teachers. This has involved a dialogue between my evolving ideas, their ideas and reflection on the realities of the classroom, what works and what might work better. And what is thought to be worthwhile in the name of a music education. Somewhere in this is the voice of Christopher Small. 2. Great store will be given to the climate of the classroom where every person will be heard musically and known as a shaper of the curriculum that will unfold. This will involve establishing ‘voice protocols’ that contribute to the social dynamics of the classroom, the subtleties of pedagogy and the growing trust created between teacher and pupil, and pupil and pupil. 3. The teacher will be instructor, facilitator and mediator. By mediator I mean that the teacher is respected for knowing good musical places to go, for being ‘the more knowledgeable other’ and the bearer of culture. The teacher brings to the classroom what will take pupils to musical places unimaginable. These will be powerful stimulants all with human interest, provoking enquiry, curiosity and questions that will have no answers as the conversation continues, and as meaning is made through a relational pedagogy where teacher, pupil and what is being learnt enable all to say ‘this is who we are’. And we are the knowledge rich music makers with a window into beauty and truth. Small, C. (1987) Music of the Common Tongue. John Calder. Pages 50-51. See chapter 4 ‘The Justification for Music in the Curriculum’ in (eds.) Chris Philpott and Gary Spruce, Debates in Music Teaching. Routledge: London. What was your take away? I wonder what is meant by ‘critical engagement’? And why no mention of this curriculum element in the model music curriculum imperatives? To be critical is to be thoughtful, discriminating, analytical, reflective, evaluative, knowing, insightful and a symbol of becoming wide-awake to the world; musical experience calls for this. It calls for a growing awareness of what music is, how music is used, how music is given meaning and how meanings are continually negotiated and re-negotiated. It calls for a recognition that music has ‘human interest’; social, cultural and political. Without criticism music ceases to be a subject of significance. Of course, there are minimal ways of understanding ‘critical engagement’ as well as deep, rich and challenging ways. Perhaps I will explore this further next week. And I wonder what and where ‘best practice’ of critical engagement with music will be found.